Retailers in the United States are expecting sales during the holiday shopping season to increase by 4.1% this year, to reach as much as $617 billion. Expectation is that more shoppers earning steadier incomes will spend more money on holiday gifts, according to a report released by the National Retail Federation. This is the first time in the past three years that the projected sales growth for the period between November and December has exceeded 4%. 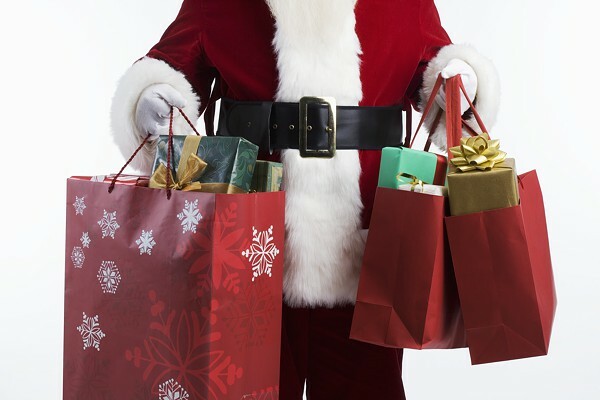 In 2013, retail sales during the holiday season increased by 3.1% and the average over the past 10 years has been 2.9%, said the NRF. Holiday sales represent close to 20% of the industry’s annual sales that reach nearly $3.2 trillion. Online sales by themselves have been projected to increase by between 8% and 11% and exceed $105 billion, said the federation. Steady gains in jobs are giving people in the U.S. the security financially to purchase presents and in certain cases splurge somewhat more than in previous years. The growth in wages however remains quite stagnant, so that keeps many shoppers looking for huge discounts. The chief economists for the NRF said that consumers today are much better off than they were at the same time on 2013 and the additional spending power they have could translate into solid growth in holiday sales for U.S. retailers. However, the economists warned, shoppers will remain deliberate with purchases, while hunting down the bargains that are too hard to pass on. The forecast does not include sales at restaurants, gasoline or automobiles. It is based upon a number of factors that include consumer credit, previous retail sales monthly releases and disposable income. The forecast by the NRF aligns with Deloitte the consulting firm based in New York, which said in September it expected the improving economy in the U.S. to increase holiday sales from between November and the beginning of January by as much as 4.5%. Last month, the rate of unemployment fell to 5.9%, the first time it dropped below the 6% mark since the summer of 2008. Retailers should hire up to 800,000 seasonal employees this fall, said the NRF.